Increased urbanization has brought with it a significant rise in the demand for transport, as well as an increase in the use of private vehicles in Indian cities. Auto-rickshaws are an important part of the urban transport landscape in India, filling a critical gap between private and public transport. However, the sector faces many challenges in the area of permits, fares, emissions, safety, technology, and socio-economic viability. Policy and regulation: Reviewing current policies and regulations in the areas of permits, fares, emissions, and safety. Market characteristics: Reviewing market size, vehicle production and sales trends, major manufacturers, engine technology, and fuel characteristics. Socio-economic and operational characteristics: Reviewing socio-economic issues such as driver profiles – age and educational qualification; and the economics and operational issues of the auto-rickshaw sector such as average daily kilometres, average number of trips, and empty kilometres travelled. 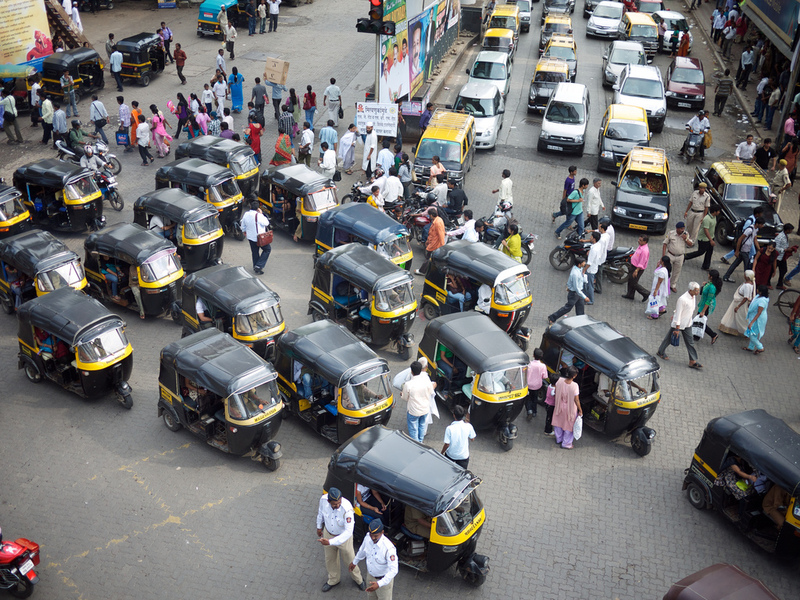 Safety: Reviewing the safety aspects of auto-rickshaws, looking at the safety impacts on vulnerable road users, as well as the safety of auto-rickshaw occupants. Along with the findings of the review, the study also presents recommendations, and it is envisioned that these findings and recommendations will inform future reform efforts undertaken at the national, state and local levels to promote auto-rickshaws as a key sustainable transport mode in Indian cities. This is EMBARQ’s second publication on India’s auto-rickshaw sector. Earlier this year, to highlight the important role the auto-rickshaw industry plays in urban transport, the World Resources Institute and EMBARQ India released a comprehensive report, “Sustainable Urban Transport in India: Role of the Auto-rickshaw Sector,” written by Akshay Mani, Madhav Pai and Rishi Aggarwal. This report examines the role the auto-rickshaw sector can play in promoting sustainable urban transport in India, and develops a policy vision for this sector, presenting recommendations on reforms to address sustainability challenges.